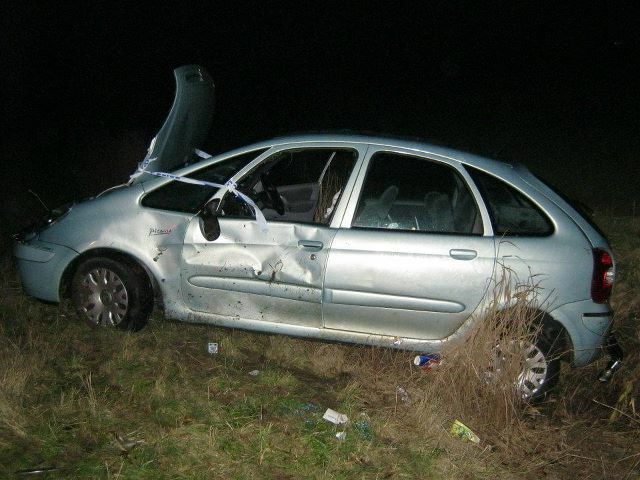 This is a photo of our car after our accident. We've found out this week it's a right off poor old car. At least we are both okay that is the main thing. Paul had a sprained neck and I've got a few bruises on me where the seat belt was and on my left arm as that was my side the car rolled down the ditch on so I must have given it a good bang when we stopped. Thank goodness we've got gap insurance out on it when we took the car on as we had a year left to pay on it. Hopefully it will all be okay so fingers crossed. Everyone's been really kind and thoughtful at the moment, the internet is a god send for food shopping too. So not loads of crafting done at the moment. It's taken us a week to sort a few things out and for us to stop feeling really still and not sleeping very well as each time we rolled over it hurt. Will hopefully start crafting away again this next week as Paul's on nights in the Guard Room this next week for 7 night he started last night.